The Resistance Band Exercise Loops are made for rehab and training exercises. Loop circumference is 58cm. With these high quality elastic loops, muscle groups and tendons can be stretched and strengthened as part of rehabilitation training or sports training. With a choice between four different levels of resistance you can gradually ease back into exercise or take on progressive training. For treatment and prevention of many soft tissue injuries and use in their rehabilitation. 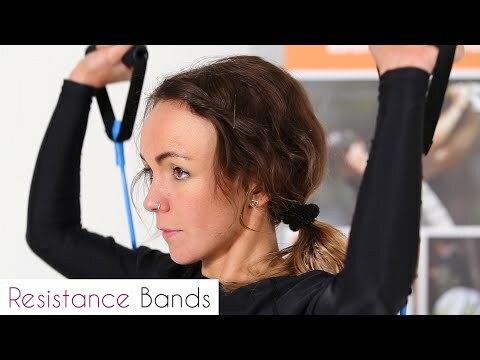 The Resistance Band Exercise Loops can be used to add variety to standard workouts. It's an excellent method of resistance training for the development of specific muscles and tendons. Three different weights offer a gradual challenge and aid to build muscle strength. Start with the lowest level of resistance and build sets and repetitions gradually. Then once the exercises become too easy, move on to the next level of resistance provided by the next exercise loop. Lightweight and portable, Resistance Band Exercise Loops can be taken anywhere and offer an alternative to heavy and large weights. The resistance band exercise loops measure 1mm thick, the un-stretched length is 28cm, but can be stretched to approx 83cm. This band contains latex. Details For treatment and prevention of many soft tissue injuries and use in their rehabilitation. PhysioRoom Resistance Band Exercise Loop is in stock and available for immediate dispatch from our Warehouse facility in Lancashire, UK. Orders placed by 4pm Monday to Friday (excluding Bank Holidays) are dispatched the same day. If you need your PhysioRoom Resistance Band Exercise Loop in a hurry, next working day delivery is available for UK mainland addresses.